This one’s a little light, still working on part 3 of the Long Island City history (part 1 here, part 2 here). Did you know there was a “newsboy legion” which hung around Vernon and Jackson and did the bidding of a mayor named “Battle-Ax Gleason”? Or that Thomson Avenue was named for the president of the Long Island Rail Road? 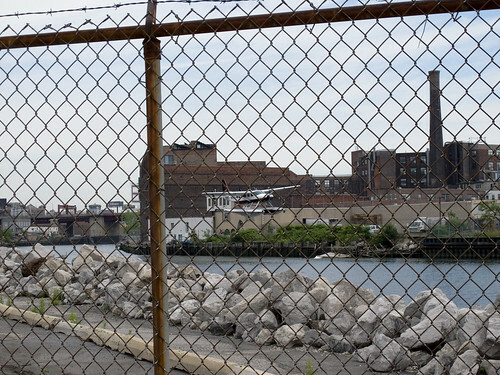 On a Friday, May 22, I was riding my bike around the Pentacle and decided that I would chance going past the security booth at the end of 2nd street in Hunter’s Point, down in Long Island City. This is the former site of the Budweiser distributor, and future home of 2,200 middle and high income apartments and a 350 room hotel. 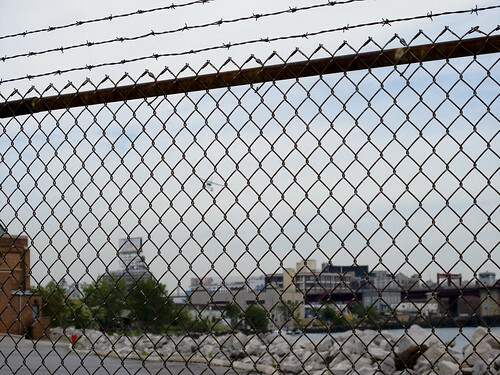 Citynoise has an interesting post about what an Urban Explorer found on the other side of some of these fences (no endorsement, DO NOT BREAK THE LAW). 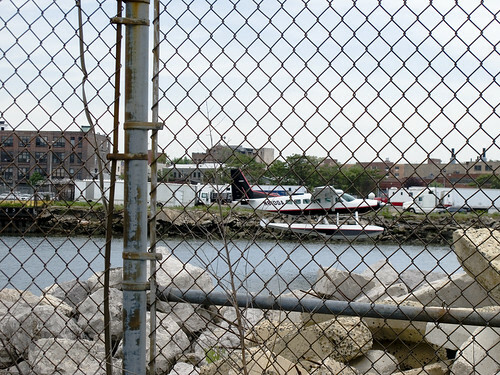 There’s a lot of history involving New York and seaplanes. Here’s a NY times article from 2003, which is admittedly a puff piece. New York used to have a lot more options, air travel wise, than it does today. That was of course, before the Port Authority turned North Beach into LaGuardia. Apocryphal, but authoritative, someone who is “in the know” about the Creek and East River told me ” they ferry rich guys back and forth between the hamptons, fire island, and the city. They try to keep it quiet and not let people know that you can get to the eastern tip of Long Island in only 35 minutes. Its only for the rich, celebrities, and wall street types though”. 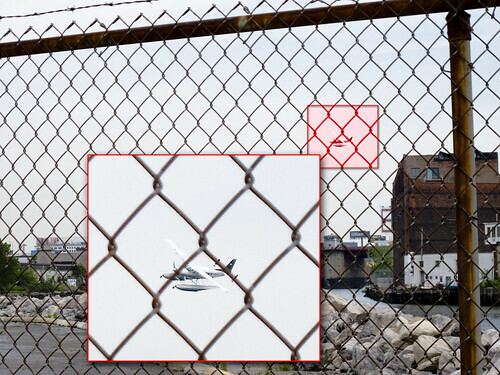 Wonder if the rich realize they’re landing in the Newtown Creek?